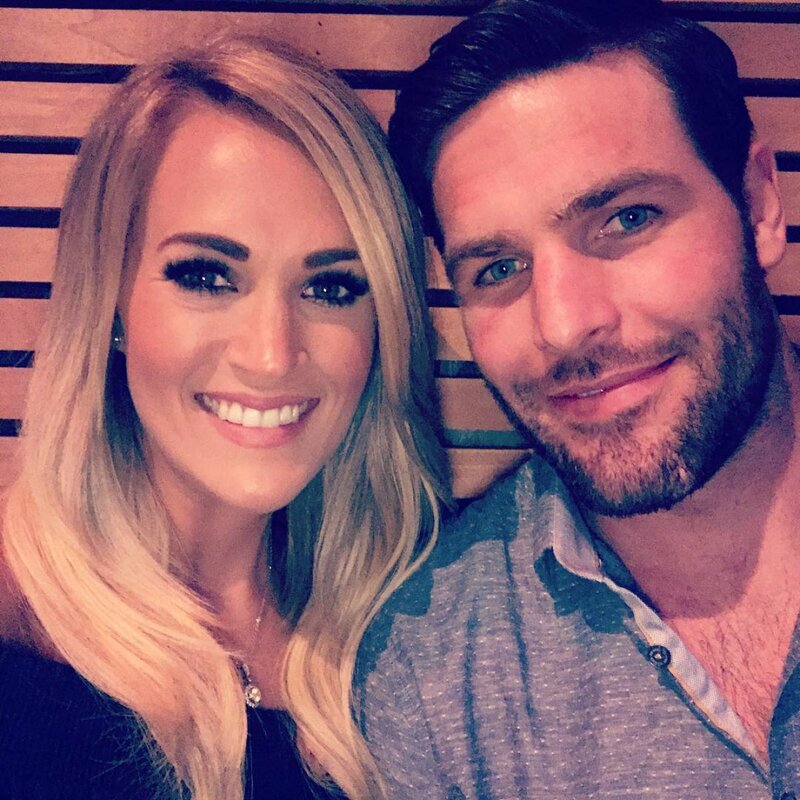 The 34-year-old singer and former "American Idol" winner dedicated a sweet post to husband and "amazing man" Mike Fisher on their wedding anniversary Monday. "Celebrating 7 years with this amazing man. How am I so blessed to share this life with you, @mfisher1212 ? Here's to so many more years and memories together..." she captioned a photo on Instagram. Fisher posted a picture of Underwood from their anniversary dinner. The 37-year-old NHL player and Underwood married in 2010 after meeting at one of the singer's concerts in 2008, and welcomed son Isaiah in February 2015. "Glad I took a chance on this babe 7 years ago. Turns out she's the best wife, and mom to Izzy, I could ever dream of!! #happyanniversary," the Nashville Predators center wrote. Underwood celebrated Fisher's birthday in June by cheering the NHL player on in Game 4 of the Stanley Cup Finals. She discussed the possibility of having another child with Fisher in an interview with "Entertainment Tonight" in April. "We're on God's good timing or whatever you might call it," the star said. "I'm just trying to figure out where life's going to take me next." "As a matter of fact, if a dog climbs up on my lap, I feel like [Isaiah] gets a little jealous," she added when asked if her son wants a little brother or sister. Underwood most recently released her fifth studio album, Storyteller, in 2015.